The most beautiful thing I’ve seen to date: Antelope Canyon. Last week, Gabe and I made a relatively impulse decision to drive up to northern AZ after Christmas. I’ve been looking at taking a trip to Antelope Canyon for about a year now, as it pops up on every must-see AZ list; and with such amazing photographs being taken, how could it not. Recently my mom and I were at a farmers market when I met a photographer who had been to the canyon and many of his pieces were displayed at the market for sale. They were breathtaking. The light shines down so majestically, casting shadows and creating intricate lines along the canyon walls. I just had to see it for myself. You cannot see the canyon without paying a fee ($8). It is on the Navajo reservation. To prevent vandalism and scribbling into the rocks, tour guides are mandatory for both upper and lower antelope canyon. The $8 fee is either included in your tour reservation, or if you’ve already paid it, then it can be taken off for most tour companies. Children under 13 are less expensive, and the lower canyon is less expensive than the upper canyon. Upper canyon tours are taken by jeep right up to the entrance to the canyon and from there you walk in at ground level. Lower canyon tours have a 10-15 minute walk before you get to the canyon and then you take a series of ladders to get down, with no vehicle travel. Make your reservations at least a day or two ahead of time, especially for the prime hours. We were there during a very busy week (between Christmas & New Years) and every single tour was sold out for that day (Sunday). The upper canyon has prime times for sunlight (late morning, early afternoon). The lower canyon does not have a more prime time than another. Tripods are not allowed in the canyon on regular tours, but there are special photography tours. On our holiday roadtrip, Gabe and I stopped for a few short hours in Sedona on the way home from “up north.” For those who don’t know, Sedona is a hidden gem, just a short detour between Flagstaff and Phoenix. It is most known for the red rocks and artsy culture. I had been once before, but not for long, and Gabe had never been so we decided to drive the extra 30-60 minutes to check it out. Driving in to town, the week between Christmas and New Years, proved to be anything but easy. There were a huge number of tourists, especially foreigners, just as there were at the Grand Canyon and Antelope Canyon. It took us nearly 20 minutes to go 4 miles on the two lane street. We took a little jig and drove up on some residential streets where we stumbled upon a beautiful church built into the rocks! The Chapel of the Holy Cross is one of the most scenic churches I have ever seen, and if weddings were allowed at the chapel, there’s a good chance I would want to get married there! We parked at the bottom of the steep hill and hiked our way up to find a beautiful view, with tall windows, and lit memorial candles with even a gift shop inside the chapel. 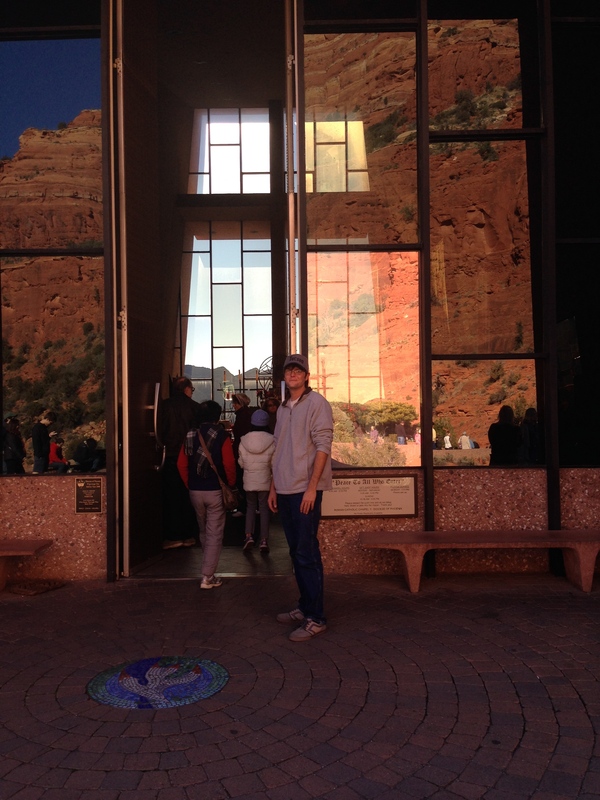 The entry doors reflect the red rock from behind – quite a view. If you find yourself there at 5 pm on a Monday, you can join for a prayer service. 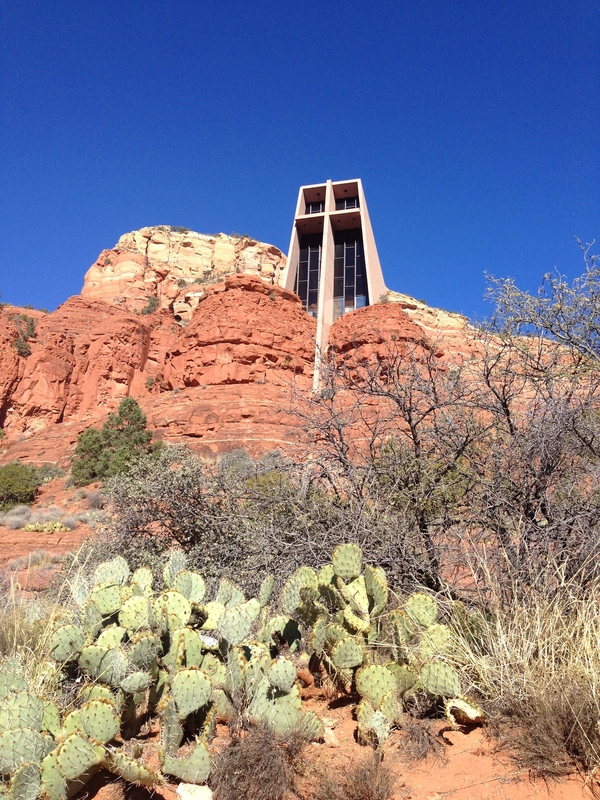 This church is not the only spiritual aspect of Sedona, however. In fact there are even vortexes, where people claim to have found a very spiritual connection. We didn’t get to check any out, but it’s worth looking into. I’ve also heard the Pink Jeep tours are pretty awesome for a tourist-y vacation. El Charro, in my opinion, defines mexican food in Tucson. Everyone has their own opinion, and some would rather go to a hole-in-the-wall restaurant on the south side, but most of those places don’t cater easily to gluten-free customers and typically have a more difficult language barrier. One restaurant that many argue is better than El Charro, or more authentic, is La Parrilla Suiza. While I agree that they have amazing flan, since going gluten-free I have only dined-in one time, and it was a scary experience. I arrived armed with my spanish translation cards, defining what I could not eat, and was given a completely blank stare. I doubt the card ever made it back to the chef, but I had to have faith in the fact that most mexican food is safe. Step into the quaint restaurant of Zayna and you have found a mediterranean gem in the middle of the Sonoran desert. The entire building consists of two rooms, (during the weekdays and non-busy times, only one room) with seating for about 30 in each room. Although the restaurant does not explicitly offer a gluten-free menu, there are an abundance of options of those with food allergies. When it comes to gluten, the only menu items that do contain gluten, are the gyro meat, pita bread, tabbouleh (bulgar wheat), sandwiches, beer, and all desserts including the obvious baklava. Check it out – you can have falafel and fries (which are both fried in a fryer without any gluten), hummus, chicken shawarma, and more! 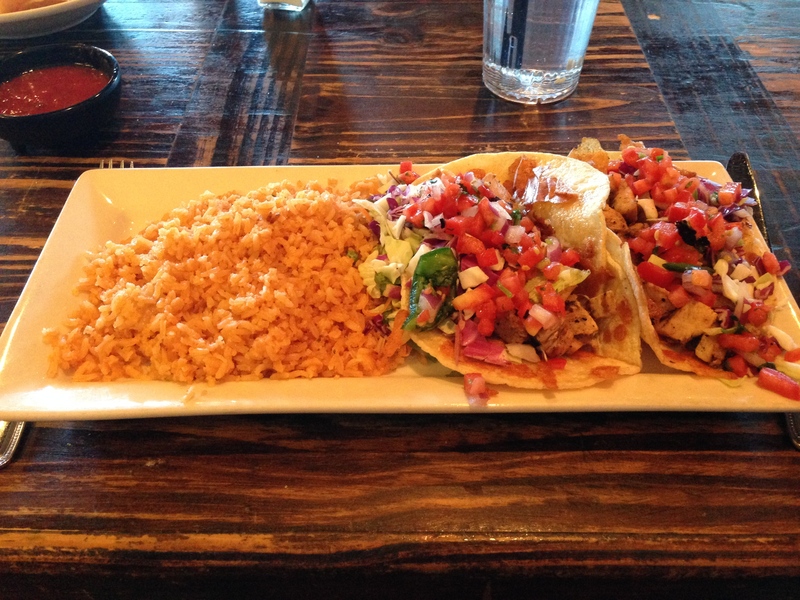 If you’ve never had Mediterranean food, don’t let that keep you from going! 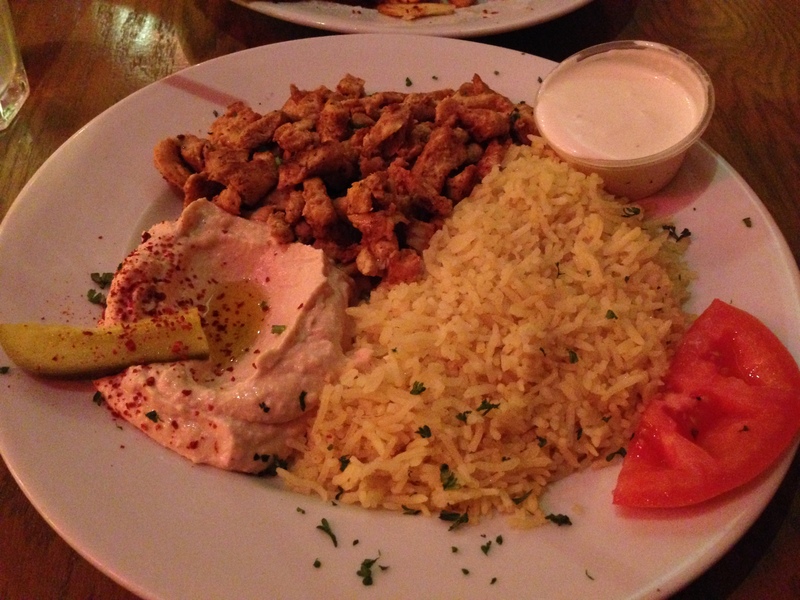 If you like chicken and some seasoning (nothing too crazy), then you will love the chicken shawarma. It comes with green beens (which I sub for rice), hummus, a tomato, pickle, and garlic sauce. Be sure to let them know you’re gluten free so they don’t bring hummus on your plate, and if they make a mistake and bring it out with hummus (which they never have for me before) just be sure and ask them to re-make it! The staff is friendly and the restaurant is family-owned, so all the cooks are related and truly care about the authentic food they make. 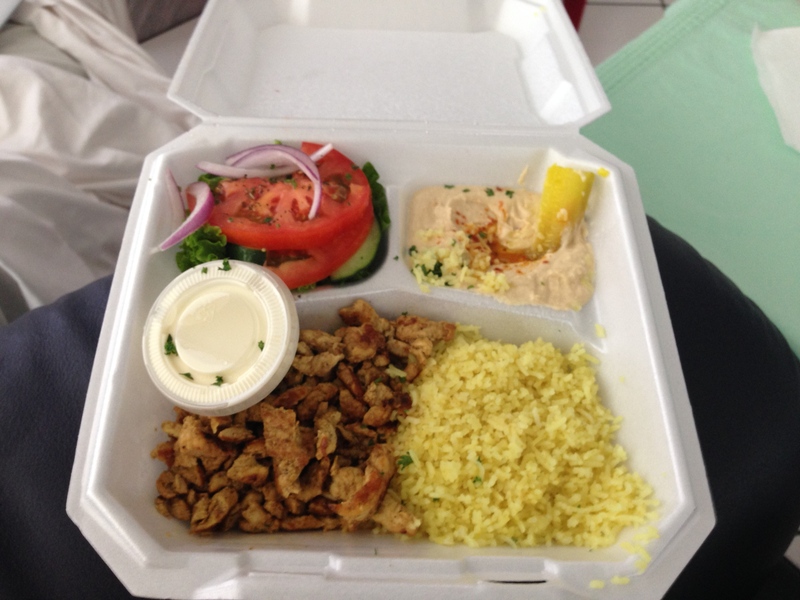 When I go to Zayna, there’s no competition, I order the chicken shawarma plate every time. If you order a side of fries (which I highly recommend :] ) Be sure to ask for a side of garlic sauce. 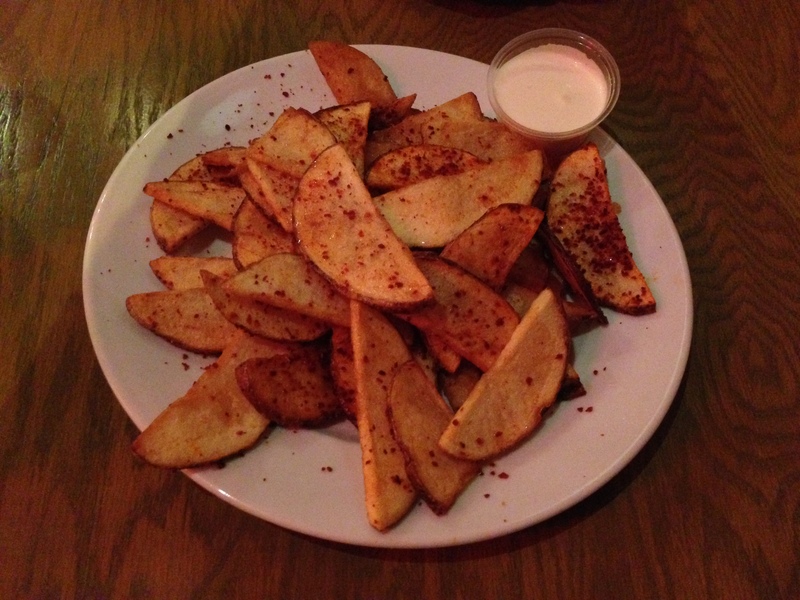 It compliments the fries beautifully (as well as the chicken shawarma plate, which comes with the sauce). This garlic sauce is also dairy free, because it’s basically mayo and lemon juice. Some other entrees come with yogurt sauce which is not dairy free and has a completely different flavor with cucumber, garlic, and mint. Be sure to read the menu and talk to your waiter if you are dairy free, as I’m sure you can sub the garlic sauce. The fries are safe in their own fryer with the falafal, which is a great thing for gluten-free folks! My understanding is that as in any restaurant cross contamination is always an issue, but generally all the chicken is cooked on one side of the grill, separate from the gluten-containing foods. You can also tell the chef if you have celiac or need them to be extra-careful and they are willing to wipe down the grill. Going in at a slower time, such as a weekday or between lunch and dinner is always a good idea for your first visit. It’s a great to-go dinner too! Zayna Mediterranean specializes in light and healthy vegetarian, Middle Eastern & Mediterranean cuisine made from fresh ingredients and served in a casual setting.